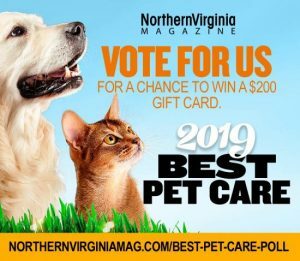 Paws Awhile Pet Motel is one of Northern Virginia’s most renowned boarding facilities for dogs and cats. Originally established in 1965, since November 1998 it has been under the ownership and management of Mother Eirene and Mother Raphaela, two Orthodox Christian nuns. With a special calling for giving love to all the animals in their charge, the Sisters and their staff offer the best in compassionate, top-quality care. 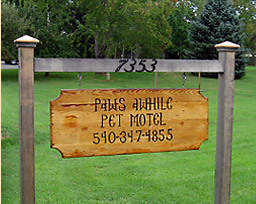 Located on 24 acres in rural Warrenton, Virginia, Paws Awhile Pet Motel offers the ultimate in personal care and individual attention to each dog and cat who visits their facility. Mother Eirene and Mother Raphaela are committed to caring for each pet as though they were part of their own family. It is a privilege and responsibility they take very seriously. With the highest level of care and attention to the health, well-being and safety of your pets, you can relax, knowing your animal friends (and family members) are in the best of hands. Your dog does not have to be bored and lonely while you are at work. 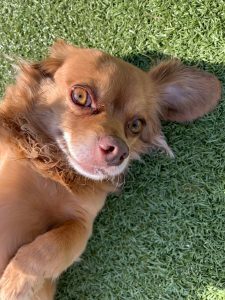 Doggie Day Care provides loving, interactive care, plus playtime, exercise and snacks. Optional add-on activity packages are also available. Short and long-term boarding accommodations for your dog or cat, with discounts for multiple pets. 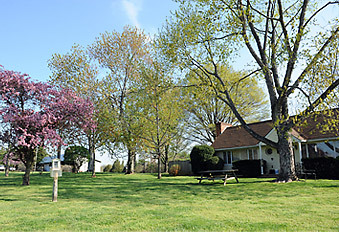 We have a rural atmosphere with two large play yards for dogs, plus playtime for cats. Every pet gets special playtime and hands-on attention. Trust your favorite animal friend to the nuns! Full-service grooming for your pets by our professional groomer. Everything from nail trimming and polishing to complete haircuts and teeth brushing. Our professional groomer is certified for all breeds of dogs and cats. We are pleased to have Theresa Richmond working with us. Theresa has 25 years experience in teaching obedience, agility, rally and fly ball in both group and private lessons. She also works with dogs and their families to iron out behavior problems. Theresa is a certified Volhard instructor.